But what are they giving you? We’ll start by looking at the Gigabyte GTX 1060 Gaming 3GB at a mind boggling $409.99. They’re tossing in a ‘free’ Gigabyte Z370 Aorus Gaming Wifi board valued at $179.99, currently on sale for $149.99, that would compliment the video card rather nicely. IF you were in the market for a middle of the road Z370 board then this could work out in your favor if you pretended that you’re buying both for the $409.99 essentially making the graphics card more along the lines of $260. Let’s be honest, $260 for a GTX 1060 3GB is rather appealing right now. But the catch is whether you need a motherboard or not. Decent deal for someone building a Coffee Lake system right now. 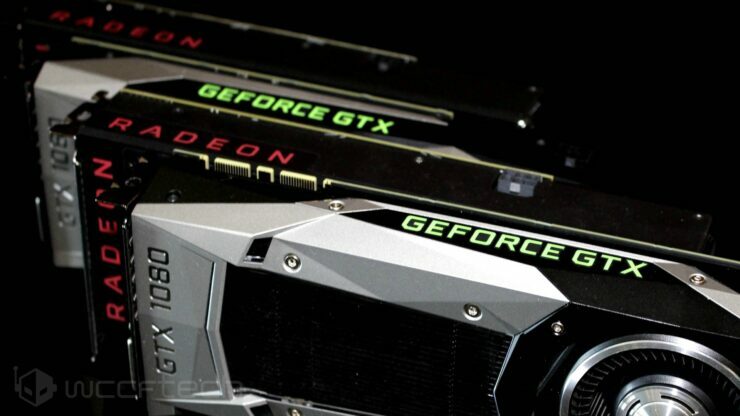 Radeon fans fear not! You can get your hands on a decent deal too, well not quite as easy to swallow but a few of the RX 580s are coming along with monitor package deals. These aren’t as appealing as the lower cost GTX 1060 since they’re coming in at the $500+ range. 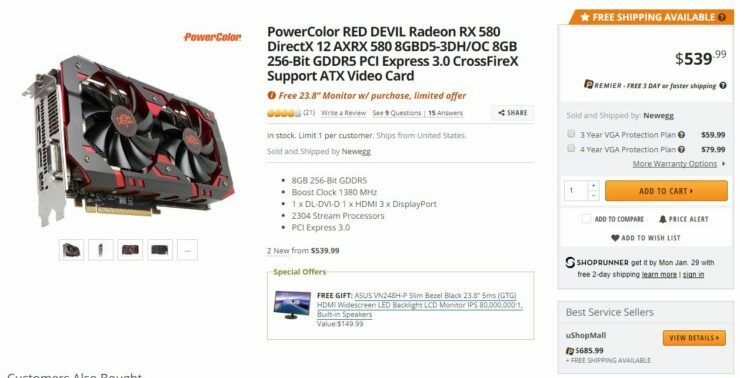 The PowerColor RED DEVIL RX 580 8GB is shipping for $539.99 paired up with a decent enough ASUS VN248H-P 24″ IPS monitor valued at $149.99. The Sapphire NITRO+ RX 580 4GB is paired up with a less impressive HP 27″ 1920×1080 panel with limited information valued at $169.99. Taking the same mentality as the GTX 1060, assuming you need and want the monitor, you could consider is getting the the RED DEVIL for $390 and the NITRO+ for $330. Don’t get me wrong, I’m not advocating for this to become a norm and I would much rather see these cards come down in price rather than them package in parts that people likely will not be wanting or needing. But, if we’re going to be stuck with these crazy high prices for the foreseeable future at least it’s good to see something being tossed in to soften the blow. I’m not too keen on the monitor bundles, but I can see how the motherboard bundle could help with offsetting some of the costs of building a new gaming computer. Now if only they’d toss in some ‘free’ memory I’d be a happy camper. Does Riva Tuner Statistics Server Overlay Impact AMD Radeon Performance?